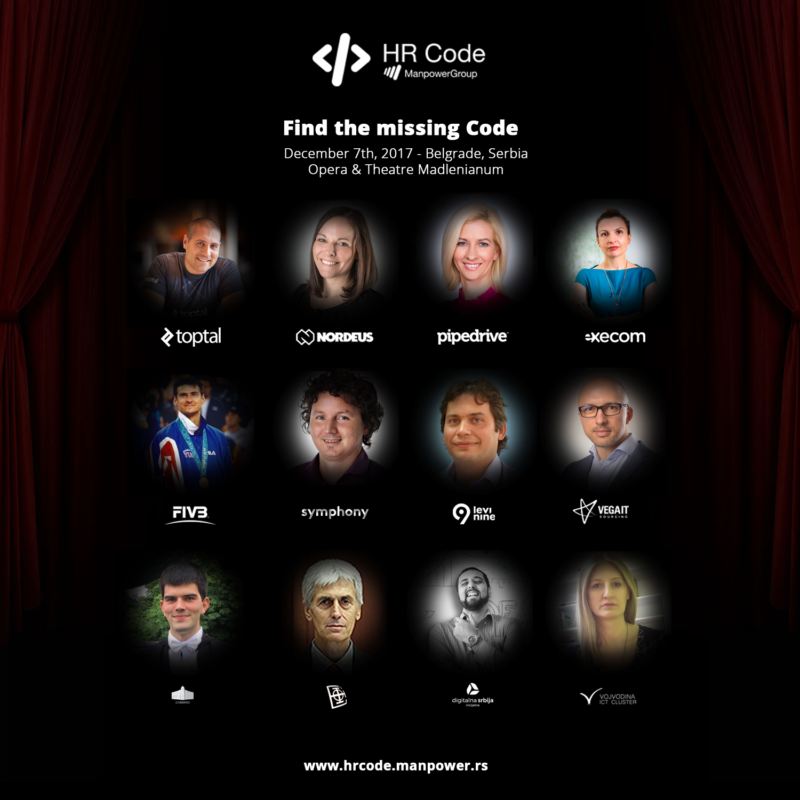 ManpowerGroup company is organizing, for the second time, its unique conference named “HR Code 2”, on December 7th 2017, at Madlenianum Opera & Theatre in Belgrade. The conference is dedicated to HR professionals within IT industry and has a goal to become their favorite networking spot, as well as a unique knowledge and experience sharing opportunity for the HR community in Serbia and the region. Last year’s conference was attended by more than 110 representatives from 65 companies and you can see a brief video below. 4 keynote speakers (TopTal, Nordeus, Pipedrive, Execom) – Everyday challenges and best practices of HR sector in prominent IT companies. 1 motivational speech (Vladimir Vanja Grbić) – Olympic champion and member of volleyball Hall of fame will share secrets to succeed in sport, business and life. CEO panel (Symphony, Levi9, VEGA IT Sourcing) – Future of HR in IT industry seen from the eyes of CEOs. New talents panel (Government of the Republic of Serbia, Initiative Digital Serbia, Vojvodina ICT Cluster, Electrotechnical faculty – University in Belgrade) – How do we educate/prepare candidates to work in IT industry? It is expected that conference will gather more than 130 participants (HR directors, managers, business partners and other related HR profiles) from companies from Serbia and Region. For registration and more information please visit official conference web-site HERE.